Preferred by many for their washable surface and cheerful colors, PremaTak tackboards are useful communication tools that also enhance their surroundings. 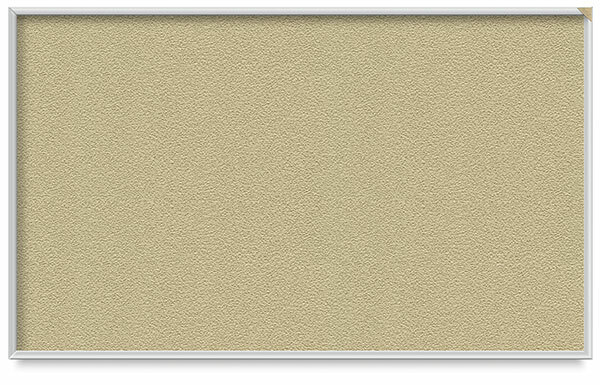 A textured vinyl surface masks pin holes created by repeated tacking, while a fabric backing offers durability — an excellent choice for classrooms or other heavy usage applications. PremaTak Tackboards are available either with an aluminum frame or a wrap-around vinyl edge, in a variety of sizes and appealing designer colors. Note – Aluminum frames include mounting hardware. Hardware not included for wrapped vinyl edges. Note – Items listed below are custom colors. They are manufactured to order, and as a result are not returnable.